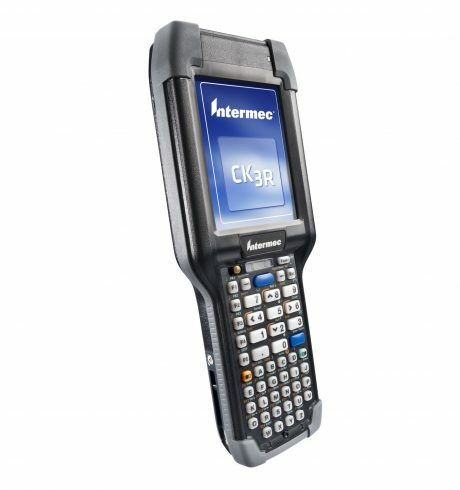 The Honeywell CK3R is a powerful and versatile, yet lightweight, mobile computer for all areas in which special demands are placed on hardware. It is a successful combination of robustness and appealing ergonomics – for everyday use. The integrated 2D area imager, the large 3.5″ touch display and various keyboard layouts serve their purpose: they make data capture and processing as simple as possible. For optimal readability and durability the backlit keys were laser engraved. Optionally you receive a retrofittable pistol grip, for maximum ergonomics during scan-intensive applications. Users continuously secure current data via complete wireless support with 802.11 b/g/n Wi-Fi and integrated Bluetooth. The battery easily lasts for an entire shift. The housing is IP54-certified to protect it against dust and moisture. It even withstands drops from medium heights – within the entire temperature range. The configurations tool CloneNGo simplifies startup and ensures the configuration of any number of CK3R mobile computers from a central device.